And perhaps acknowledging the forthcoming ending (although the series was filmed before the cancellation was announced), the tone of the show has darkened, increasingly bloody and brutal as ritual and warcraft take a more vicious turn with the stakes rising for pretty much every concerned. 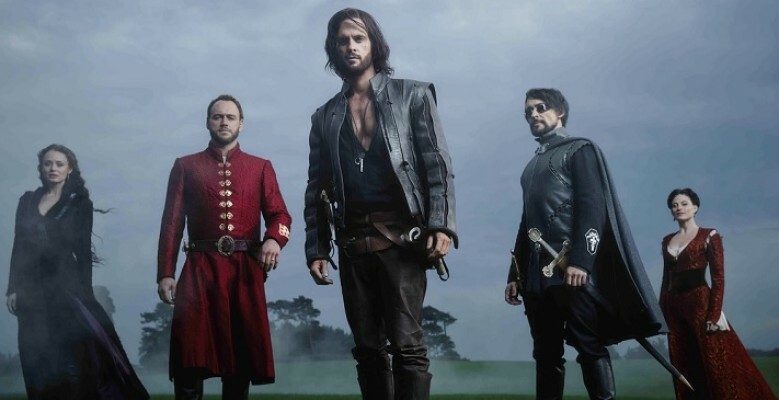 The Turks’ sacking of Naples gives us the best battle the show has done with fearsome consequences for several characters, Riario’s dealings with The Labyrinth become ever more sinister and even Gregg Chillin’s Zoroaster gets a decent plot for once. With John Shiban taking over as showrunner from series creator David Goyer, the writing’s move towards greater character focus carries on apace. The only thing Tom Riley’s ever-strong Leonardo invents is the assault course from The Krypton Factor and conversely, what he actually has to deal with is somebody else using his battlefield innovations against him and his allies in some chillingly realised scenes which really test his emotional fortitude, the full impact of which it will be interesting to trace across the whole series. Elsewhere, the Florence strand looks set to be most intriguing with the unexpected rise of Vanessa and Nico to the ruling court (good work from both Hera Hilmar and Eros Vlahos), I was glad to see Ray Fearon’s mysterious Carlo de’ Medici return as there’s much to explore with him, and Lara Pulver’s Clarice is interestingly poised in her own journey – a beautifully written scene with Laura Haddock’s Lucrezia had an ominous quality which makes fear a little for both their safety – as the end approaches, those titular demons look to be getting more dangerous.